Just Released! The eagerly awaited new album from the Small Change Diaries. Just £9.99 including P&P in the UK. Email for worldwide shipping rates. Without exception the songs of “Lullabies For Cynics” are stunningly good. This melting pot of talent has produced a truly first rate album you simply must hear. 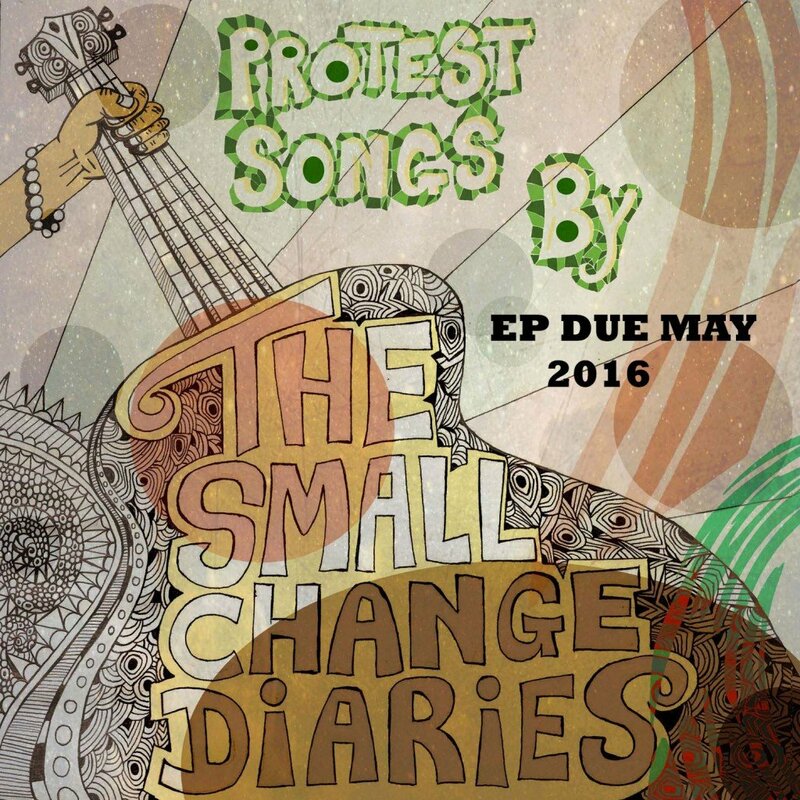 The Small Change Diaries create poetic, acoustic songs with thought provoking lyrics and a heartfelt delivery. 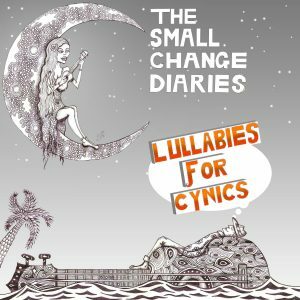 ‘Lullabies for Cynics’ is pretty much exactly what it says on the tin. The Small Change Diaries create a peppy fantasy world with folk, blues, gospel-style arrangements all while conveying the candied truth through their politically challenging lyrics. At a first listen it’s just camp fire sway ready lollipops and rainbows tunes but at the root there is depth there. Email nickcodyscd@gmail.com for worldwide shipping rates and for both Small Change Diaries’ albums for just £18. Includes “Birdman” “Miles Ahead” “Cold Mountain”, “I’m driven here to comment, & “Hey Rona” all played on BBC Radio. Nick! Love your CD! Thanks so much for sending it to me. Love the string bass. That adds so much. Also the brushes on the snare drum. I love that sound. Sounds like a snare drum! Seems like the snare on some of my tracks sounds like a guy hitting a block of wood! Great vocals! I do really like your voice. Nice and out front! Congrats my friend. Well done all around. Art work, production, songwriting, and of course, cool ukes. I’d just like to thank you all for an excellent concert last Friday – the audience really enjoyed it and we’ve received some enthusiastic feedback. Thanks for all the trouble you took to make it such a success. The Small Change Diaries, based in Leeds, are an alternative acoustic ensemble, whose music is a fusion of acoustic, folk, blues, and gospel-style arrangements – accompanied by politically challenging lyrics. Their EP, ‘Protest Songs’, is the follow up to 2015’s debut album, ‘Adam Blames Eve’. The four songs, starting with ‘Not One Of Us’, are upbeat and cheery sounding on the surface – but the light heartedness – which comes about because of the prominent use of ukuleles – covers up for the deep, sometimes dark lyrics. ‘Big Tony’, song two, is the perfect example of this. It’s sung in a bluesy, even swing style, but the lyrics tell the tale of a gangster, the “Big Tony” of the song, who commits a variety of crimes, bringing with him a feeling of fear and despair when he comes into town, “with all his crew”. The Small Change Diaries comprise Jessica Bowie, Nick Cody, Adrian Knowles, and Richard Ferdinando. 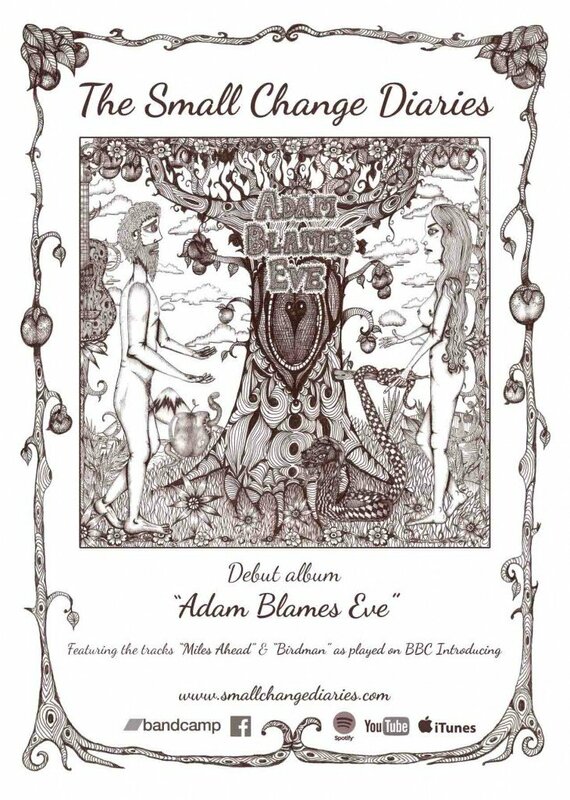 Their album, ‘Adam Blames Eve’, had selected tracks featured on BBC Introducing. The band draws their inspiration from current events, with the belief that more needs to be said about what really matters. ‘Commons Sense’ on the surface seems to a simple folk song – but when were folk songs ever simple – it’s a song about government, and with the beautiful vocals of Jessica Bowie, asks if the representatives of the people actually do that. It’s striking and disturbing and moving, a protest song reminiscent of those of Buffy Sainte-Marie, Joan Baez, or Joni Mitchell.